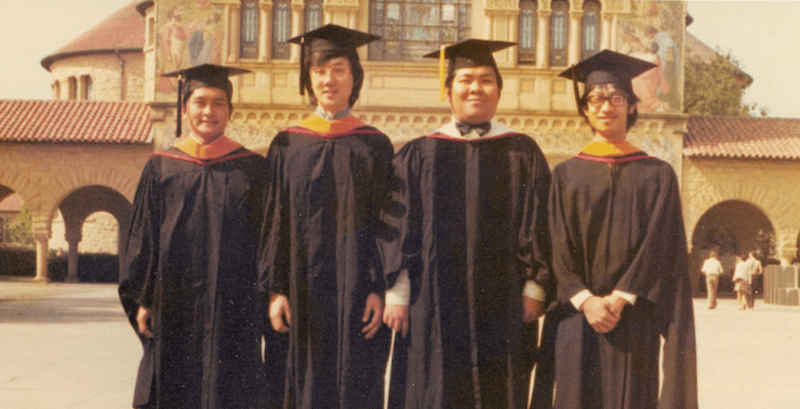 I first met 陳明銶 in 1973 at Stanford, when I started my PhD studies in Computer Science and he was already a PhD student in History. I remember I met him within a few weeks of my arrival on campus and he was amongst the first HK’er I met at Stanford. 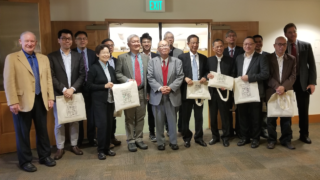 That was not surprising, because given his bigger than life personality and his knowledge of all things HK and Chinese around the Bay Area, it would have been to my disadvantage not to meet him as early as possible to get a feel for the “Stanford experience for a HK’er”. I think he liked me, treated me like a younger brother and took me under his wings. Our fields of study could not be more far apart but somehow we became relatively close. He was a student of Chinese recent history, a subject I was quite ignorant about. 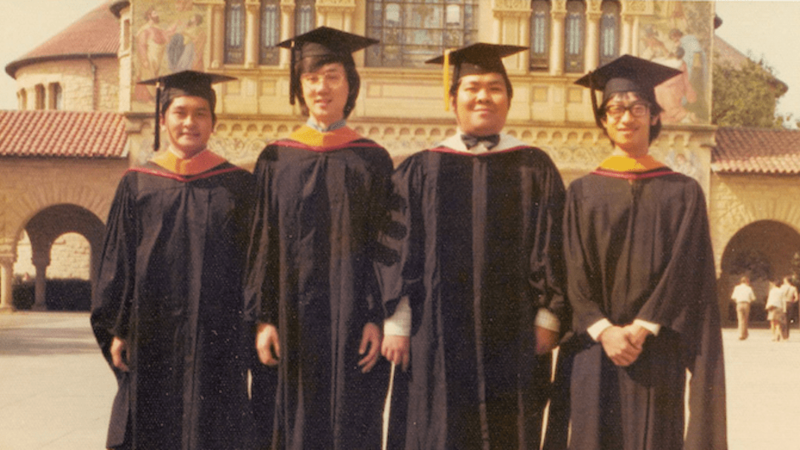 I had just come from Caltech, where there were few opportunities to learn history or meet “historians”. Thus, it was a transformative experience for me to meet someone who was so different from me and yet was passionate about his field. I learned for the first time what a “university” is about, where you meet people who are completely different from you and yet you can be inspired and have your mind opened. He made me realize how little I knew about Chinese history and to think more deeply about what being Chinese mean. I owe him a big thank you for that. 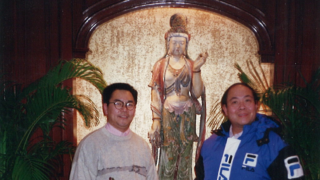 陳明銶 was also notorious around Stanford for his passion and knowledge of Chinese food. He knew about all the Chinese restaurants around Stanford, and we’d frequent them whenever we had the time (and the money). He knew what to order, what not to order, and he knew the waiters and the owners. And of course over dinner he’d “educate” us about his views on the latest topics of interest. He is opinionated (I mean he had his own view on most things), passionate, worldly, intellectual and observant. After Stanford we went separate ways because of our careers. 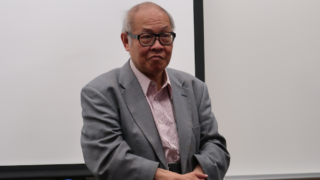 I went to Yale and he took a faculty position at HKU’s history department, after a few years at Stanford’s Hoover Institution, with which he maintained a close association throughout his career. I’d pay him visits whenever I visited HK myself. I remember he had a big office in the iconic Main Buliding at HKU, and I was both jealous and admiring. 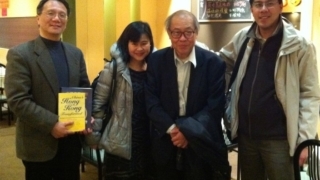 I also became aware of his projects of studies about HK and the books that he published. One advantage of being a historian is that your scholarly output is often accessible to lay people and I could understand a lot more about what his scholarly work than he could mine. 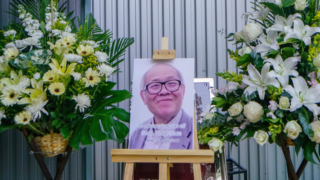 Both in his work, and also as a person, he was someone who deeply cared about HK and China. He was keen to take the social and cultural responsibility of what a Chinese intellectual should bear. He was not afraid to be a public intellectual, with all the political liability that goes with it. For that, I truly admire him and it is a proud legacy that anyone could have. Rest In Peace, 陳明銶，You’ll always be remembered.